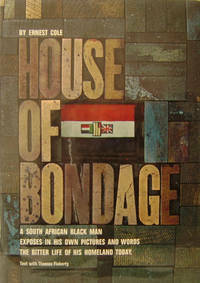 Random House, Incorporated, 1967. Hardcover. Good. Disclaimer:A copy that has been read, but remains in clean condition. All pages are intact, and the cover is intact. The spine may show signs of wear. Pages can include limited notes and highlighting, and the copy can include previous owner inscriptions. At ThriftBooks, our motto is: Read More, Spend Less.Dust jacket quality is not guaranteed. Random House. Hardcover. 0394429354 FAST SHIPPING!! No CD Included. Access code may be previously used. Heavy wear, wrinkling, creasing or tears on cover and spine. Heavy writing and highlighting. Cover has used book stickers or residue. Marker on cover or bottom edge of book. Book may have additional damage or defects not listed above. . Fair. Random House, Incorporated, 1967. Hardcover. Good. Disclaimer:A copy that has been read, but remains in clean condition. All pages are intact, and the cover is intact. The spine may show signs of wear. Pages can include limited notes and highlighting, and the copy can include previous owner inscriptions. The dust jacket is missing. At ThriftBooks, our motto is: Read More, Spend Less.Dust jacket missing. Shelf and handling wear to cover and binding, with general signs of previous use. Smudging of covers. Secure packaging for safe delivery. Random House, 1967-06. Hardcover. Good. Random House, 1967-06-01. Hardcover. Good. 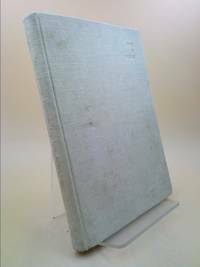 Tight and unmarked large format hardcover in jacket. FROM A SMOKER'S LBRARY oversized and overweight. Please email for photos. Random House. Hardcover. 0394429354 Like New Condition. . Fine. Random House. Hardcover. 0394429354 New Condition. . New. Westminster, Maryland, U.S.A: Random House Inc, 1967. First Edition. Hardcover. Very Good/Very Good Dust Jacket. Dust-Jacket Is Not Price Clipped. The Dust Jacket Is In Very Good Condition. 192 Pages No Index. 1St Edition Not Price Clipped. Printed In 1967. 1St Printing. Illustrated With Black And White Pictures. We can ship from the USA and Canada. We list books that are academic, collectible and historically significant, providing the utmost quality and customer service satisfaction. For any questions feel free to email us. Random House, 1967-06-01. Hardcover. Used:Good.